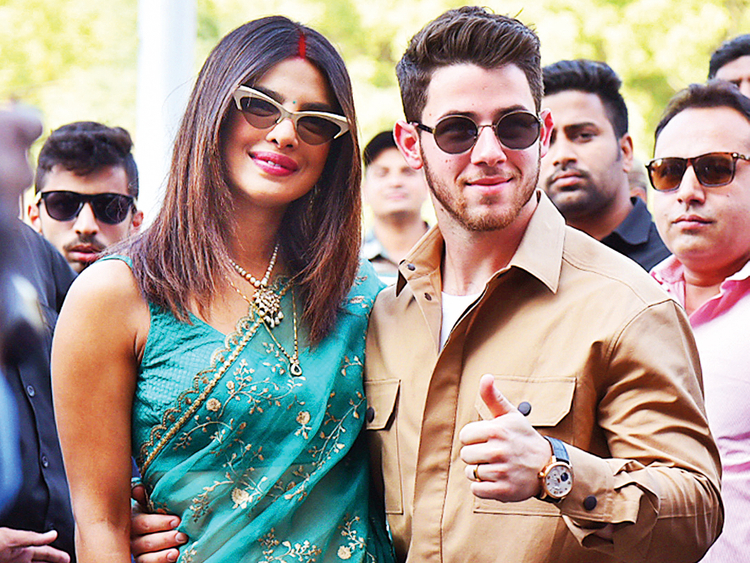 Actress and former Miss World Priyanka Chopra married American singer Nick Jonas in a traditional Hindu ceremony in Jodhpur, after three days of wedding celebrations which included a colourful mehendi ceremony, a friendly cricket match and a power-packed ‘desi’ musical evening. Chopra looked “breathtaking in her traditional red Indian wedding outfit,” a source told E! News about the Hindu ceremony on Sunday. From their ‘roka’ (engagement) ceremony in August to their wedding, Jonas has embraced Indian traditions whole-heartedly. Chopra also ensured an occasion like Thanksgiving Day was celebrated like it’s meant to be with Nick’s family. “One of the most special things that our relationship has given us is a merging of families who love and respect each others’ faiths and cultures. And so, planning our wedding with an amalgamation of both was so amazing,” the couple posted on Instagram on December 1 when they shared glimpses of their ‘mehendi’ revelry. Their wedding celebrations were in tune with the majestic venue — the royal Umaid Bhawan Palace, situated atop a hill in this ‘Blue City’ in Rajasthan. Chopra, 36, and Jonas, 26, first exchanged vows in a Christian ceremony officiated by the groom’s father on December 1. They wore custom-made Ralph Lauren ensembles, a good fit as the two stars had shared the spotlight for the first time as guests of the designer at the 2017 Met Gala. Marking their union here was the Jodhpur sky lit up with fireworks. At the ‘mehendi’ ceremony, Chopra sported a breathtaking multi-hued folksy Abu Jani Sandeep Khosla lehenga, while Jonas sported an aqua kurta by the same designers. 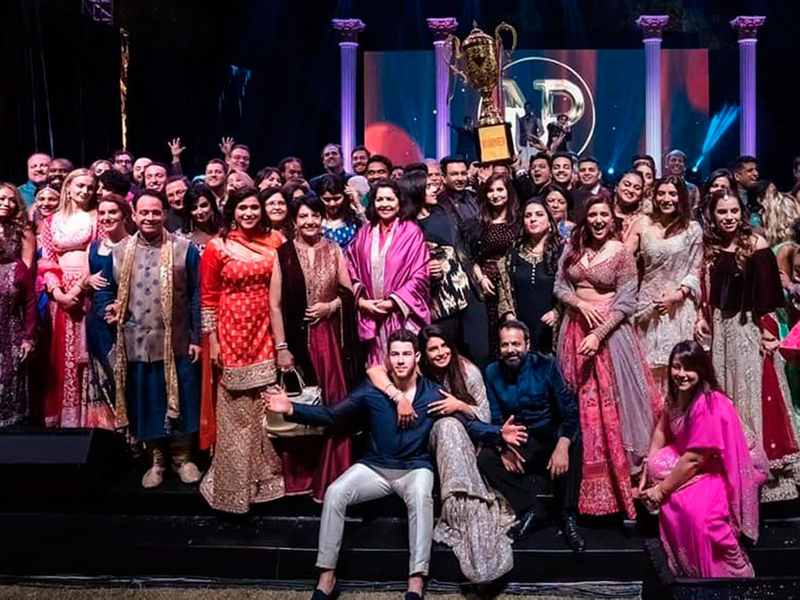 As for the sangeet, a pre-wedding musical night, a video and photographs shared by Chopra suggest it was no less than a Bollywood awards night complete with a stage, elaborate light set-up and props as well as energetic performances. Chopra’s cousin and Bollywood actress Parineeti Chopra, who performed on stage, welcomed Jonas warmly to her family and was all praise for her “jiju” (brother-in-law). “The job of us bridesmaids was to make sure the bride was happy and comfortable at all times. But we did not have to worry about it because Nick promised to do it all his life. Welcome to the family Nick jiju! I am so so happy that the Jonas and Chopra family is now united,” she wrote. A successful Bollywood star, Chopra made a transition to American showbiz as the lead in crime drama ‘Quantico’, eventually landing a role in the ‘Baywatch’ film. Jonas and his brothers Kevin and Joe Jonas are known for having formed a pop-rock band, The Jonas Brothers, in 2005. The band split up in 2013.